Location. 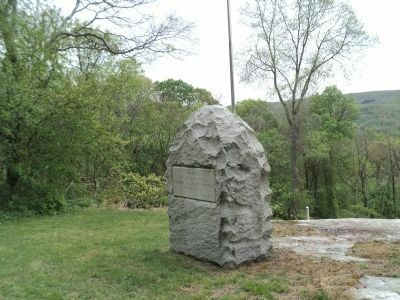 41° 20.907′ N, 73° 58.274′ W. Marker is in Highland Falls, New York, in Orange County. Marker is on Old NY 218 north of Cemetery Road, on the right when traveling north. Touch for map. Marker is located in Highland Union Cemetery. 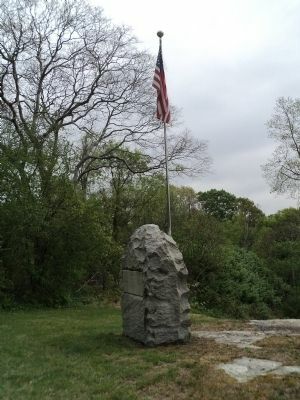 Marker is in this post office area: Highland Falls NY 10928, United States of America. Touch for directions. Other nearby markers. At least 8 other markers are within 2 miles of this marker, measured as the crow flies. Benny Havens (within shouting distance of this marker); Captain Molly (approx. 0.3 miles away); The Concord Minute Man of 1776 (approx. 1.2 miles away); Garrison Home (approx. 1.2 miles away); Church of the Holy Innocents (approx. 1.2 miles away); Sugar Loaf (approx. 1.2 miles away); Iran Hostages (approx. 1.2 miles away); Benjamin J. Havens (approx. 1.2 miles away). Touch for a list and map of all markers in Highland Falls. 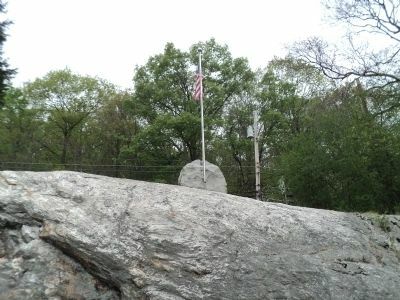 This view of the monument was taken from inside Union Cemetery. More. 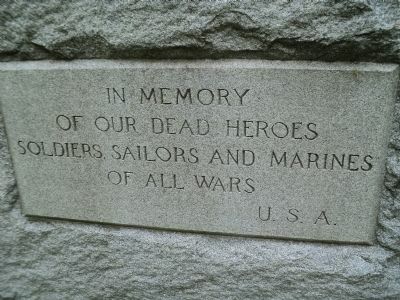 Search the internet for Union Cemetery War Memorial. Credits. This page was last revised on June 16, 2016. This page originally submitted on April 26, 2012, by Bill Coughlin of North Arlington, New Jersey. This page has been viewed 399 times since then and 4 times this year. Photos: 1, 2, 3, 4. submitted on April 26, 2012, by Bill Coughlin of North Arlington, New Jersey.